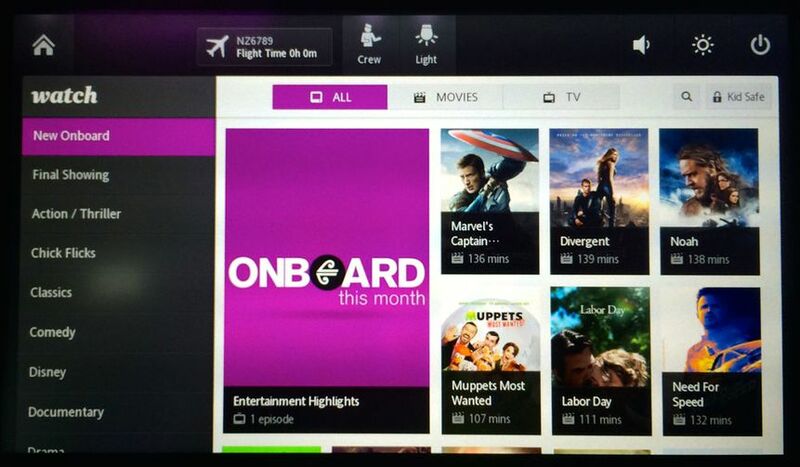 Air New Zealand's new Boeing 787-9 also marks the debut of a revamped inflight entertainment system, and it's a corker. 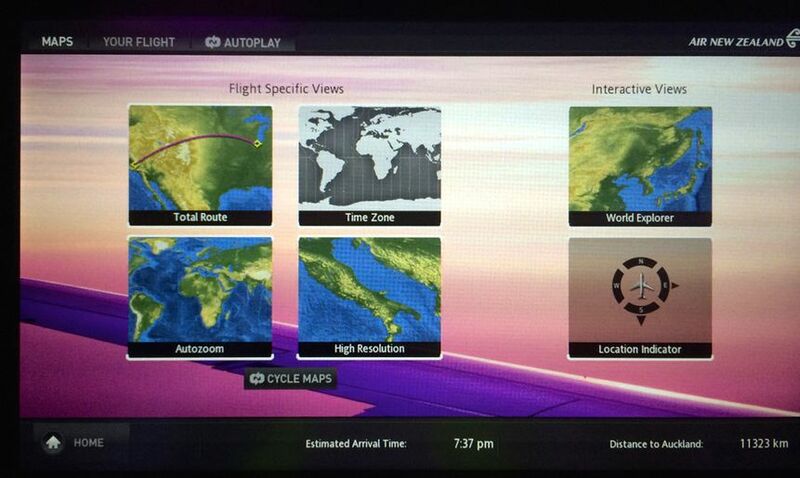 Although the Dreamliner is fitted with Panasonic Avionics' latest hardware, the same software will be rolled out across the airline's flagship Boeing 777-300 fleet by year's end. The Kiwi carrier's Boeing 777-200ER fleet will also get into the picture as each of these older jets is refurbished with lie-flat business class seats, a new premium economy cabin and Panasonic's eXlite touchscreen system. 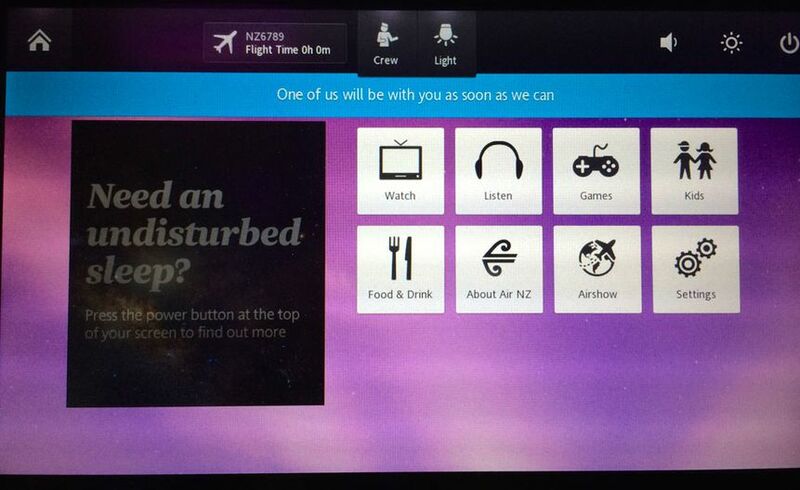 Australian Business Traveller had the chance to check out the new inflight entertainment system on New Zealand's first Boeing 787-9 which is running a pre-release version of the new software. 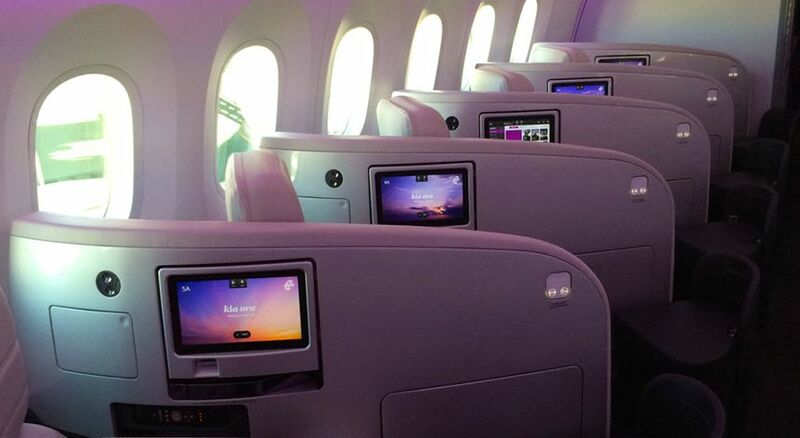 ... to the smaller 9 inch panels in the economy cabin. 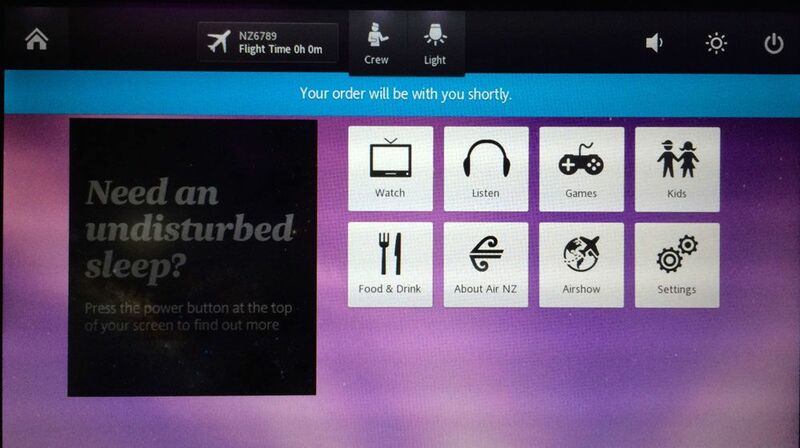 Here are ten things we love about Air New Zealand's new inflight entertainment system, especially on the Boeing 787-9. The new user interface is inspired by smartphone and tablet apps with large self-explanatory buttons that almost invite you to tap them and see where they take you. 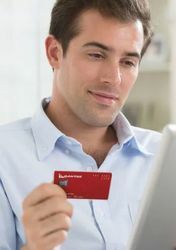 This makes the system more 'discoverable' – users are more likely to explore the content because of the familiar design. 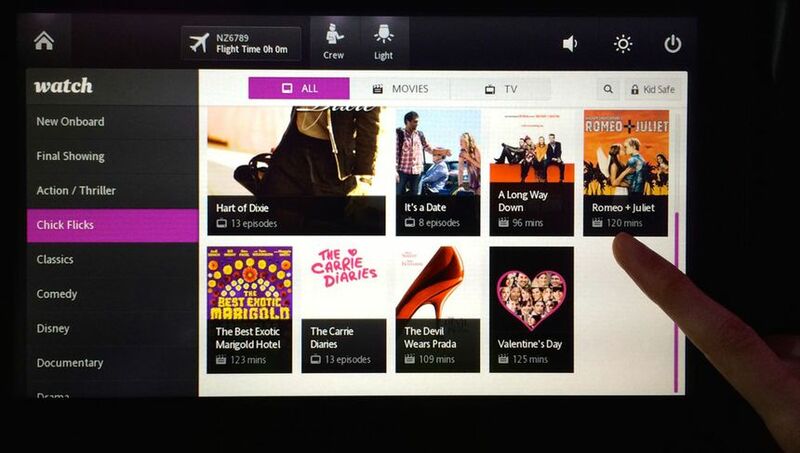 Let's say you're in the mood to watch some comedy, drama or action. 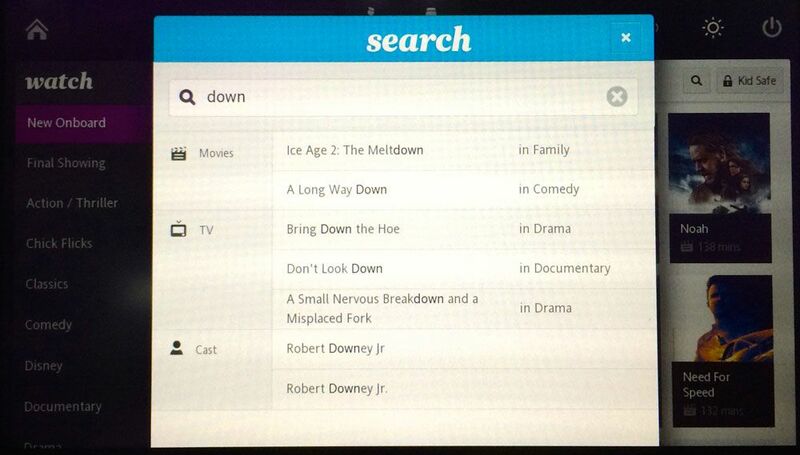 Why should you have to plough through those categories for movies and TV shows separately? AirNZ's new system lets you see all relevant programs on a single screen. Come to think of it, why should you have to think in terms of genre? 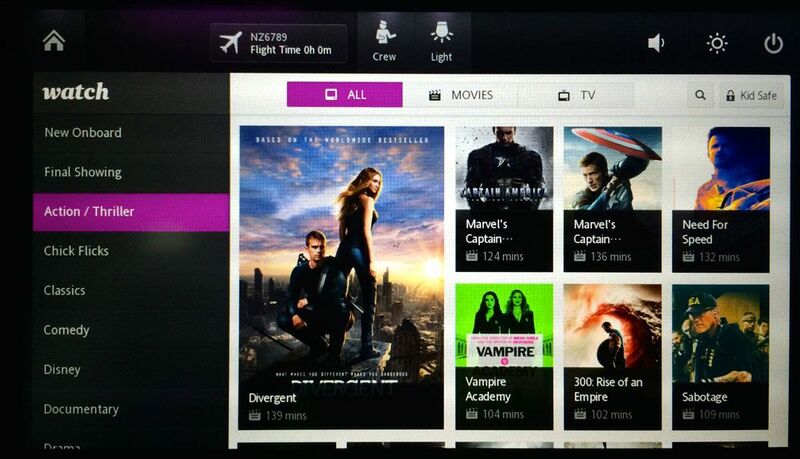 So Air New Zealand has added Chick Flicks and Man Cave 'channels'. 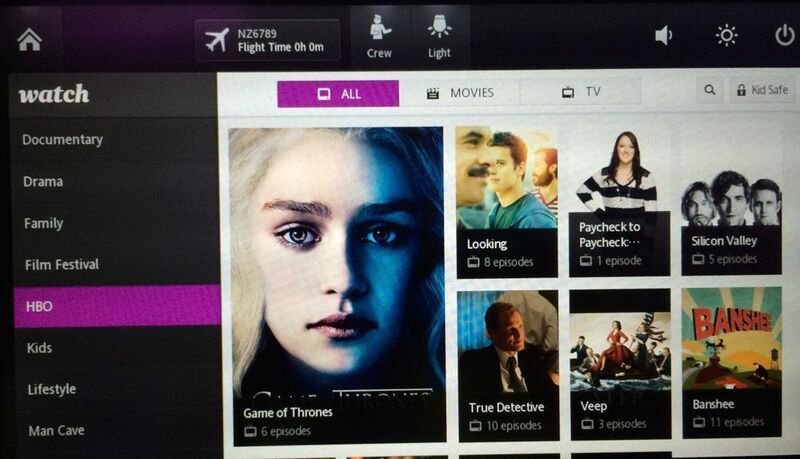 There's also a dedicated channel for HBO shows such as Game of Thrones. The software's tap-to-keep-browsing buttons have been replaced by simple swipe gestures so you can simply flick your way up and down through movies, TV shows, music and more. 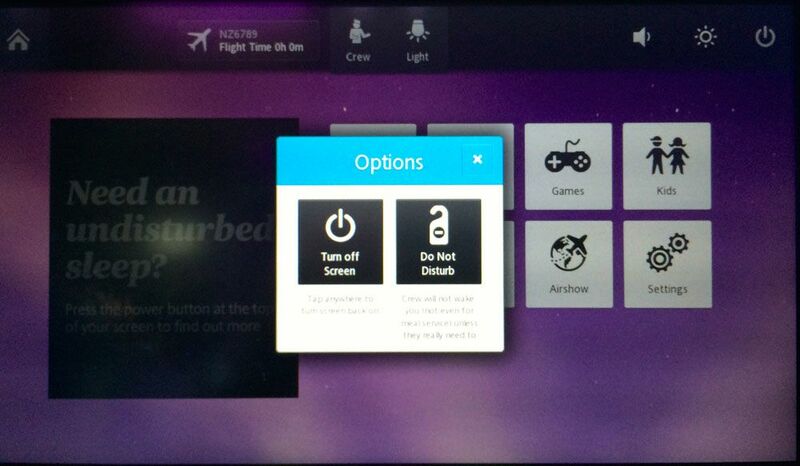 This works a treat on the responsive touchscreens of the Boeing 787-9 Dreamliner. This small button at the top of the screen contains your flight number and the time remaining until you reach your destination. Of course, the standard array of moving maps and (depending on your aircraft) live camera views are all just a tap away. 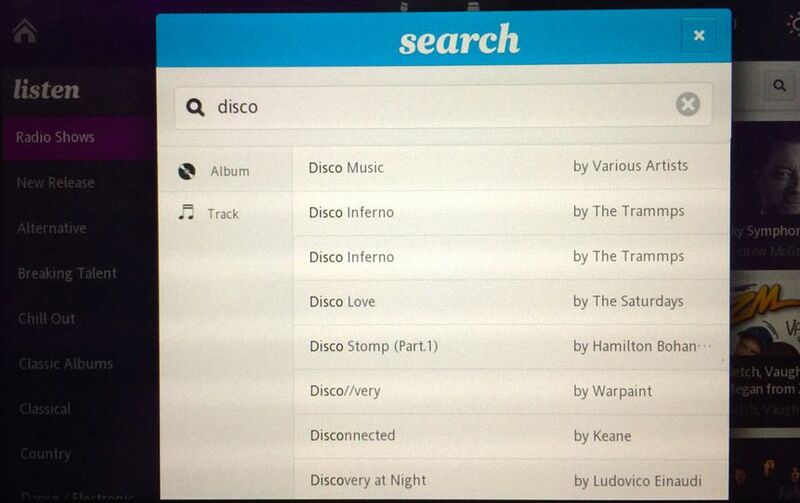 Start typing in the Video or Music search box and you'll see a list of all matching content, even if your taste is somewhat questionable. The more letters you type, the more specific the search becomes. 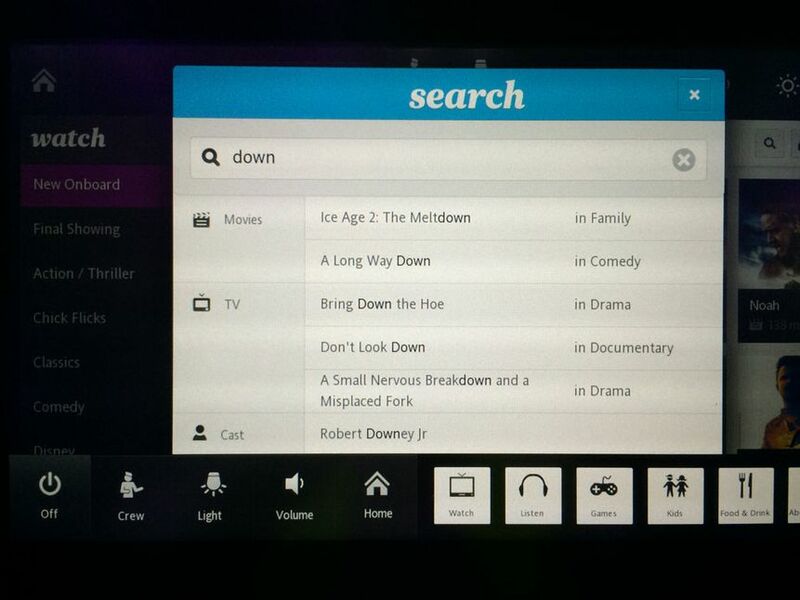 In this case, I can see that Air New Zealand doesn't have any episodes of Downton Abbey on hand but it's got several movies and TV shows containing the word 'down' as well as two shows starring Robert Downey Jnr. This handy menu slides up from the bottom of any screen to provide instant access to the most commonly-used selections. 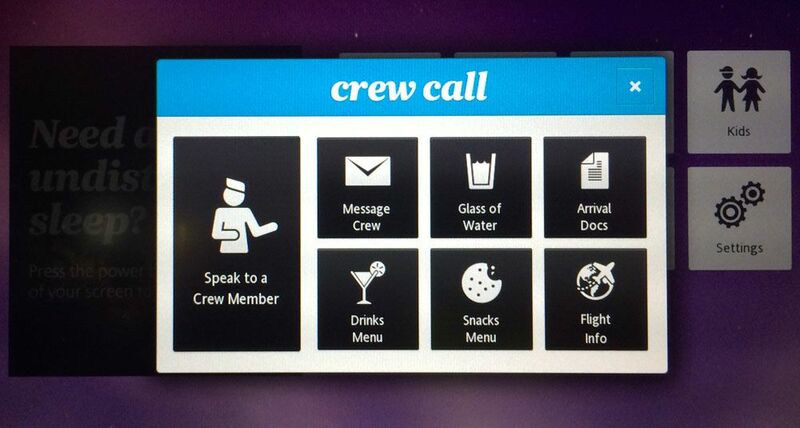 The crew call button is perhaps our favourite feature in the new inflight system because it does more than just summon a flight attendant to your seat. Want something simple, like a glass of water or any arrival documents? There's a button for that, and when you tap it an onscreen message lets you know what will happen next. Hungry or thirsty? You can order some food or drink straight from the onscreen menu. 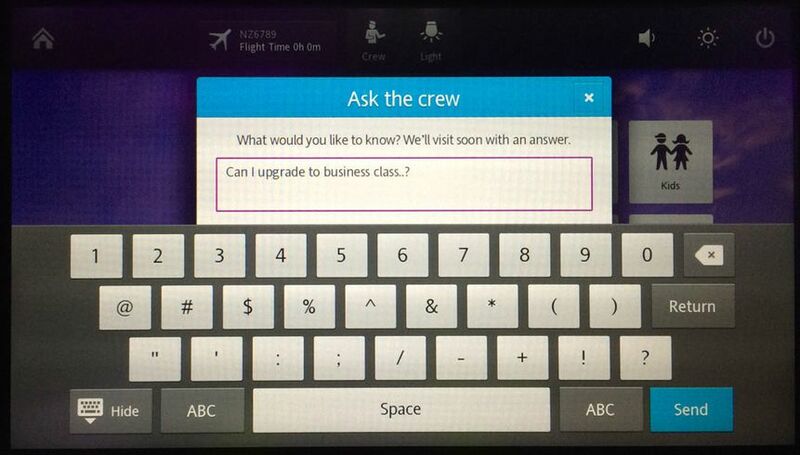 You can also pose a question directly to the cabin crew using a chat system. There's even a 'Do Not Disturb' mode to ensure you're not woken by the crew offering meals or refreshments. 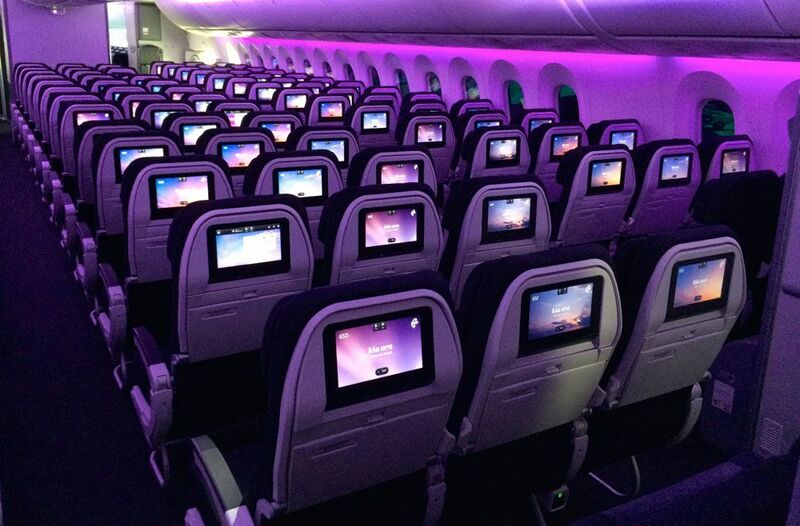 If you've not flown in Air New Zealand business class, premium economy or even economy before, fire up these video tutorials to learn about your seat's functions and how to make the most of it. 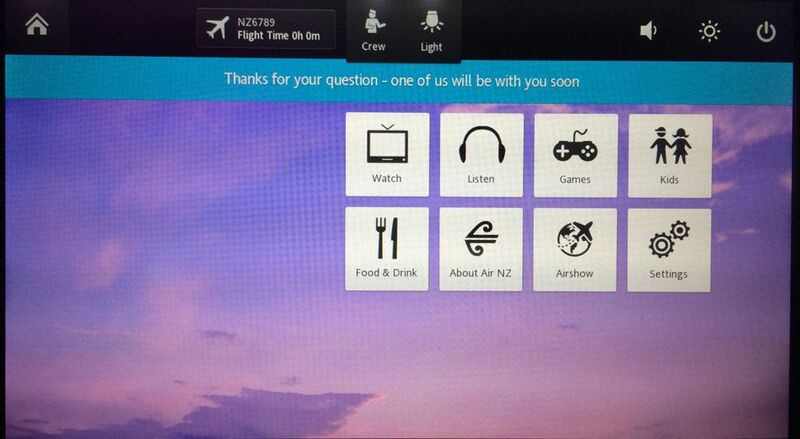 When Air New Zealand's Boeing 787-9 begins its Auckland-Perth flights in October 2014 the inflight system will include a dedicated TripAdvisor app with information about each city which the airline flies to, so travellers can do some last-minute research on the way there. 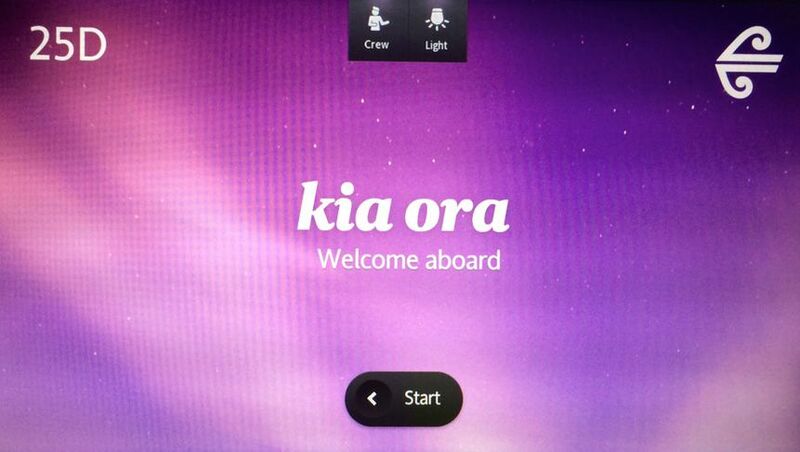 Air New Zealand plans to add other apps to the inflight system in the months to follow. 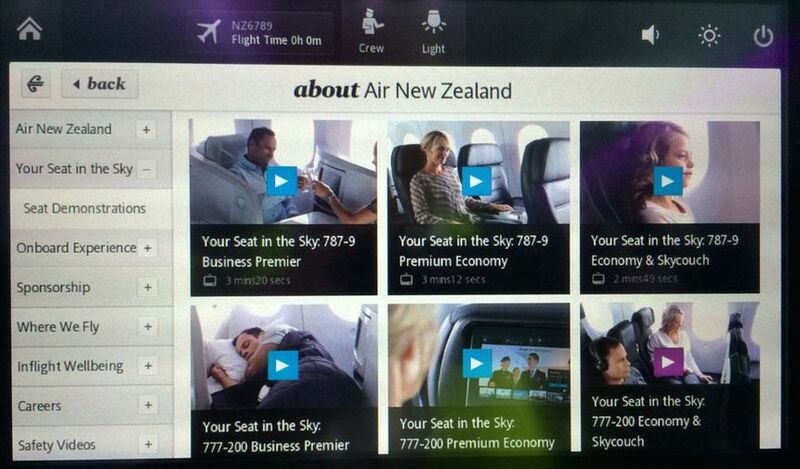 Australian Business Traveller is attending the Boeing 787-9 launch in Seattle as a guest of Air New Zealand and Boeing. I might be wrong, but I think it has to do with the Pod design - 11" is the maximum. Where as newer designs have 15" + minimum for J.
i realize they need to 'fit' into a recess in the pods side wall when stowed, so whoever designed this NEW/updated pod, clearly neglected to 'design' a larger recess for a larger recess/screen (there can be enough room for a larger recess)...not good forward thinking, as these NEW pods will be around for many future years. I believe the quality of the screen resolution is far more important than screen size. 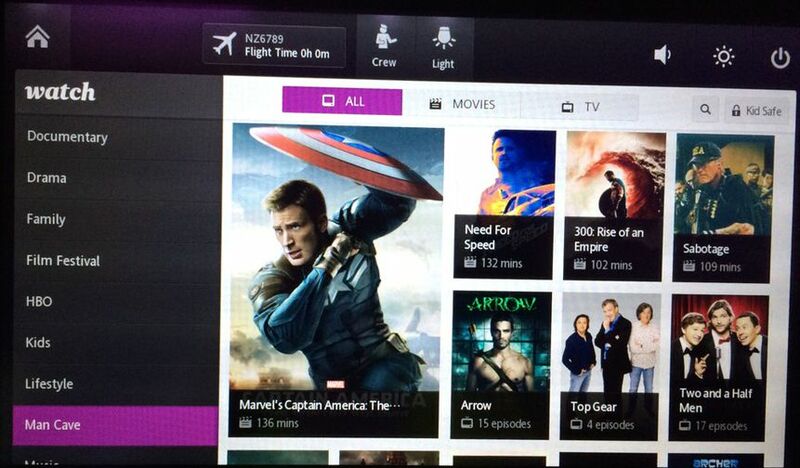 The Virgin Atlantic Upper Class screens (same seat design etc) and their screen resolution is like watching a VHS tape from 1987. Atleast NZ have high def resolution. I haven't flown Air NZ in a long time however I think they are a leading international airline and are dynamic, innovative and appear to be lead by a good management team. I also tend to agree. When the screen is right in front of me (regardless of flying business, premium or economy, at most it'll be a few feet), 10-14" is definitely ample, and the resolution, content and responsiveness is much more important. 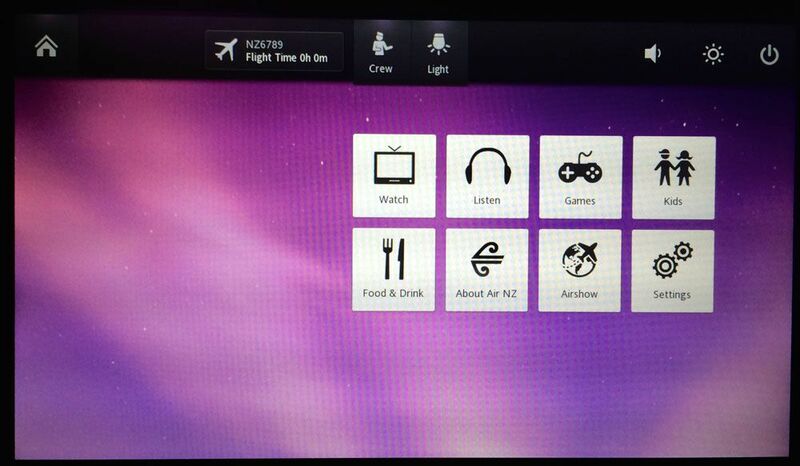 Comment on "Air New Zealand's new Boeing 787-9 inflight entertainment system"